If you have heard of John Hughes, congrats! You know a good genre of movies when you see one. If you’re unaware of who John Hughes is, chances are you’re not up to par with your pop culture. If you have heard of John Hughes, congrats! You know a good genre of movies when you see one. But don’t worry, many of you actually know his films and you may not even realize it. John Hughes was the epitome of teen 80’s movies. After his 1984 debut, he was given a multiple-picture contract with Paramount Pictures, creating a string of films with the plotline of high school students, helping kick-off the career for first-time actors. In 2009 we lost the great creator, but his films and legacy still lives on. Below is a ranking of some of his greatest films. How many of these do you know and remember? Synopsis: Sci-fi meets teen comedy in this adaptation of the revenge of the nerds. 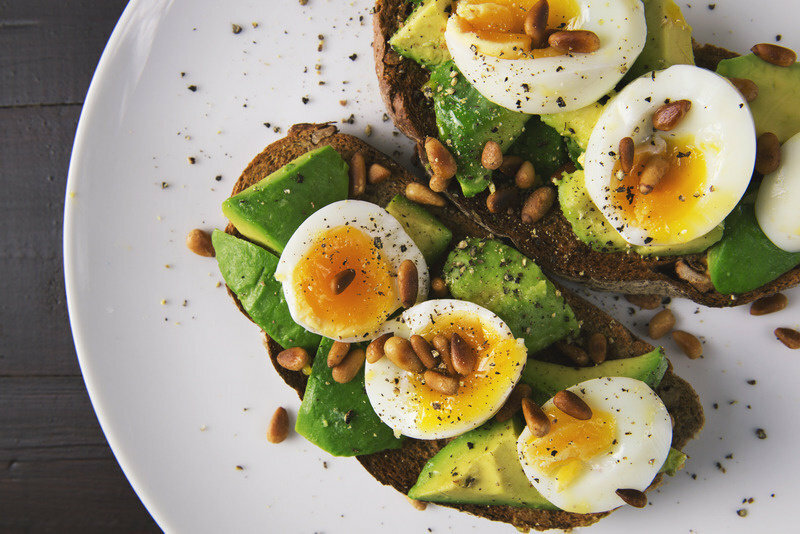 When two high school geeks decide to perform their very own experiment, they became modern-day Dr. Frankenstein’s and create the perfect woman that will lead them to popularity. 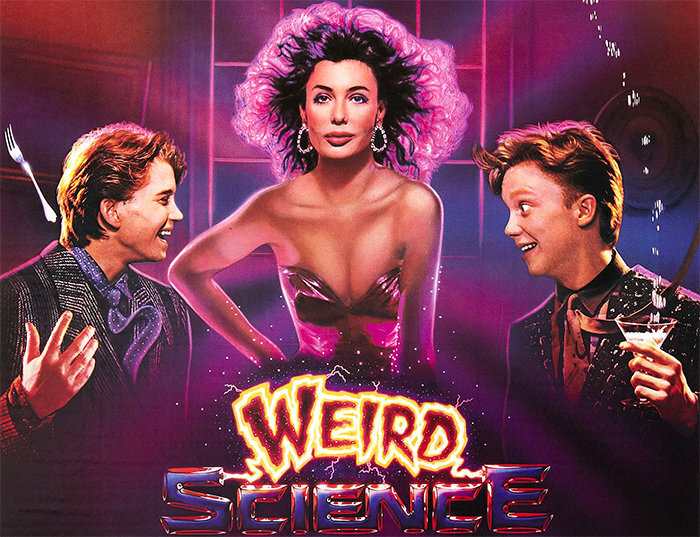 When a young Kelly LeBrock appears to be the woman of their dreams. In the end, rather than teaching them about the birds and the bees, she teaches them how to be themselves and get girls their own age, and not have to make them. Synopsis: We all have that one uncle in the family. The one we cringe when we hear his name because he’s known as the black sheep. He does things that are, let’s say, unethical. We swear they’re from another planet and there’s no way they can ACTUALLY be related to us right? 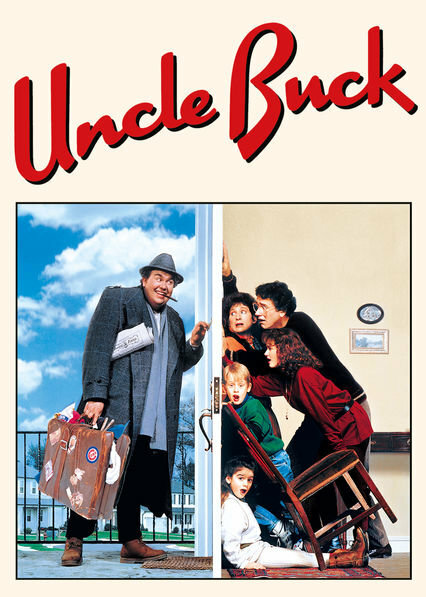 Well here comes Uncle Buck. One of John Candy’s most famous pieces. About the uncle who has to babysit his nieces and nephews in a precious time of need, and teaches them how to live life without any worries, and not having to follow the rules. Bonus: A young Macaulay Culkin stars in this as well. Synopsis: After the Psychedelic Furs created their hit single, John Hughes created this story starring a young Molly Ringwald. Andie comes from the wrong side of the tracks and she’ll do just about anything to feel accepted and fit in. She’s poor. Plain and simple. But she falls for Blane who’s rich and popular, and in normal high school settings, they’ll never be together. Blane doesn’t seem to care but wants to pursue Andie if it’s the last thing he can do. Andie thinks it’s too good to be true and realizes it’s not as easy and fairy-tale like as it may seem. 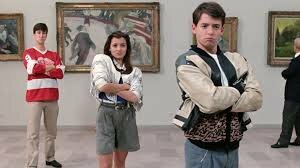 Synopsis: No one, and I mean no one, cuts class better than Ferris Bueller. Bueller has the charm and wittiness to get away with just about anything. With graduation around the corner, his one last prank is to cut class, steal a Ferrari, go on an epic adventure throughout all of Chicago, do it with his best friend and girlfriend, and do it behind Principal Rooney’s back. The film has many classic lines that are used to this day, and have inspired students everywhere to have a little fun on their “sick” day off. Synopsis: The first of Hughes’s films, Sixteen Candles starred a brand new to Hollywood, Molly Ringwald. It’s Samantha Baker’s sixteenth birthday and just like any other girl she can’t wait. It’s a magical day that every girl dreams of. She’s sweet sixteen and ready to get her license, hopefully shed herself of her pre-mature life, and get everything any other sixteen-year-old wants out of life. The only problem? No one, absolutely no one knows it’s her birthday. Everyone forgot and it seems like the 24 hours of this film are turned against her. She has a crush on a boy who doesn’t even know she exists, her parents are only paying attention to her soon to be wedded sister, and her special day is just another day to everyone else. The end of this movie plays out to be every girls fantasy, and has been reenacted in multiple movies and TV shows since. 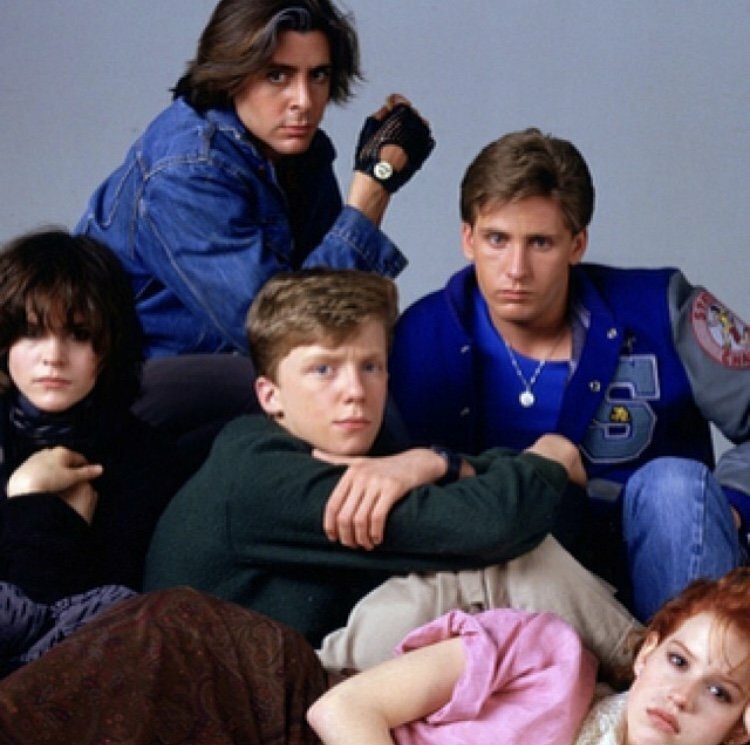 Although it is the first of John Hughes’s films it may be one of the most classical ones. Synopsis: Lastly we have the greatest detention story of all time. What happens when you make a brain, an athlete, a basket case, a princess, and a criminal spend 8 hours on a Saturday in detention? You get what is possibly the greatest 80’s film of all time. Possibly Hughes’s biggest success film, this was the start for many famous 80’s celebs, better known as “The Brat Pack.” Starring a young Emilio Estevez, Molly Ringwald, Judd Nelson, Ally Sheedy, and Anthony Michael Hall had some of their first ever screen appearances on this very library. The film follows the typical high school stereotypes and defies odds as they can all come together for just one day to set aside their differences, and befriend one another in an odd uncanny way. 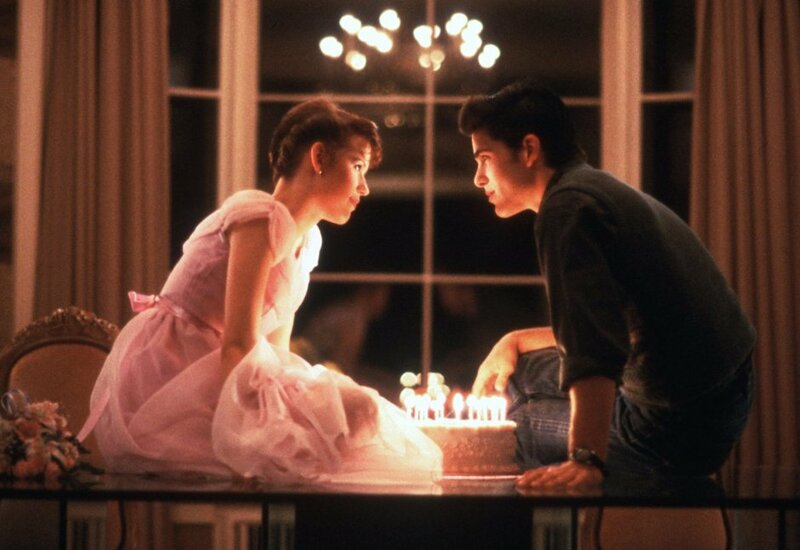 The film gives us a famous soundtrack in which similar to “Sixteen Candles,” has been recreated in other forms of pop culture, and has been a classic since it’s 80’s debut.